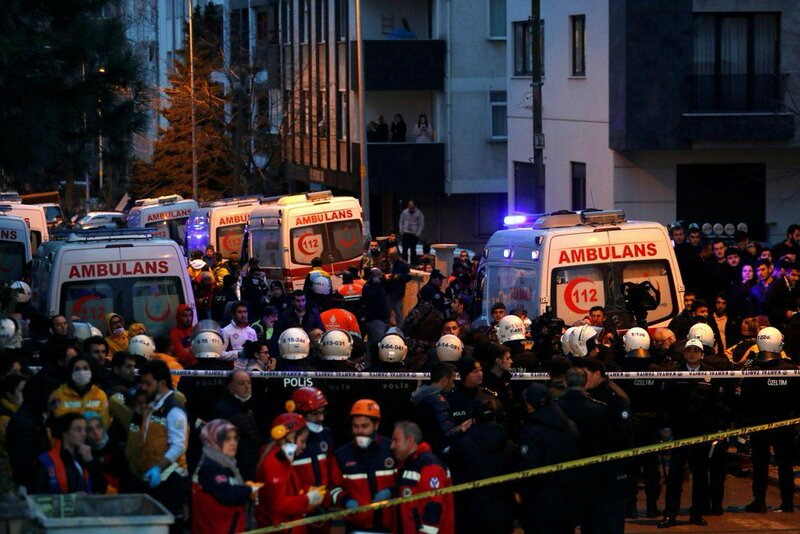 Police, ambulances and rescue workers are seen at the site of a collapsed residential building in the Kartal district, Istanbul, Turkey. Television footage showed emergency teams pulling a woman out of the rubble as dozens of bystanders watched near the debris. Aerial views of the area showed roads leading to the building blocked by vehicles and crowds.